First off- AnimeNYC is still a relatively new show during the time of this review but it’s very well run! There wasn’t anything particularly bad and all the issues that were raised were publicly posted on the AnimeNYC social media to try to raise awareness and do better. There were little issues with keeping artists updated and emails were responsive. It still had slight flaws for the alley here and there, though. Venue- It’s Javits Center, so it’s as perfect as any convention venue can get! It can be intimidating to navigate since it’s huge and there’s a ton of entrances/ escalators/ etc but AnimeNYC only occupies a smaller section of the center- so it should be relatively hassle free. Everything was super clean. It did get a bit chilly and windy in the AA area though, which has been in the top floor for the past two years. However it’s completely beautiful up there because the entire back section is just a gigantic window overseeing New Jersey/ NY! Provided pretty good lighting too. Just make sure you bring a jacket and make sure your display is stable so it doesn’t flap a bit in the wind. Staff- The staff was excellent! On the first day of 2017 AnimeNYC they tried to shut the lights on/off to get people out of the alley and someone tripped, when My friends and I reported this to a staff member the next day- they switched tactics and used megaphones to usher people out instead. Everyone was super kind and made rounds to make sure everything was okay, I wish all con staff were this kind and enthusiastic! Layout- This is where AnimeNYC fumbles a bit, because there weren’t super clear signs that the artist alley was on the top floor. It still garnered traffic, but I feel as though more could have been generated if there was more advertising/ banners for the AA upstairs. Additionally, the layout of the AA itself is separated into a front section and a back section, and traffic seemed to flow oddly because of how weirdly different the two sections were. It was a bit difficult to navigate smoothly and it was easy to miss a lot of booths. But given the layout of the top floor, this is about the best they can do, I guess. 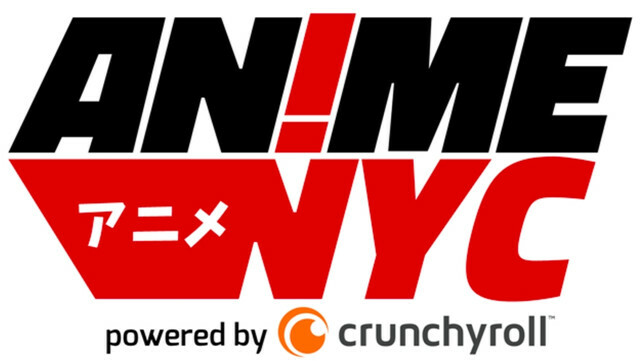 Attendance- Attendance was really great, and 2018 AnimeNYC is reported to have brought 30,000 people, which should be on par with Otakon and Fanime. However, my artist alley friends and I noticed that even though there was a constant stream of attendees, there was a lot of downtime on sales, particularly Sunday (I only made about 200-300 on Sunday, which is p bad.) Most of my friends and I profited 1.2-2k, which isn’t bad per-say, but it’s abysmal for a 30k attendance con. I did have two friends that made 5k plus, though. But many popular artists around me (that I won’t name) were struggling with sales as well. Do what you will with that info. Attendees were mostly kind and upbeat though! New York anime/ comic fans were really enthusiastic and actually made cool conversations 🙂 There was also the occasional industry rep as per usual. Affordability- I go to this convention because it’s local, so investment for me was super low. However, my friends from out of country and out of state had to fly in and find hotels/ airbnbs- which in New York Manhattan is SUPER pricey. I would recommend doing this show only if you can find a way to cut down investments with friends. It’s a cool show, but it’s not a for sure big moneymaker like New York Comic-Con. There’s also one dollar pizza places around Times Square for those that want to cut down on food expenses (?) the tables are pretty reasonable and affordable compared to other cons, though! It’s only $265 for an 8ft table and TWO AA badges. That’s a steal for most cons of this size. There was also a $600+ table that was ten ft by ten ft with four (?) badges, but those were mostly for studios/ group/ larger artists. However, I don’t think these tables particularly garnered much extra traffic? They were right in front of the artist alley, but most attendees preferred to skim through the entire artist alley before coming back to the front. It still garnered traffic, but it’s a bit of a gamble. I would personally recommend to take your chances with a 8ft table since it’s still a large space and there wasn’t really a “dead zone” in the AA for standard tables. Overall, it’s a very cool show and super promising. I can see it growing even more, but at the moment it’s a bit of a gamble. You’ll probably make a profit here, but NY is pricey and you’ll have to do your best to cut back on investments.